What would the world be without chocolate? I’m sure if you asked a chocoholic, they would tell you it would be a much sadder place to be. Canadians love their chocolate (our family included!). But what do we really know about chocolate besides our own personal preferences? I know for me it is not a whole lot. Today I want to share with you some info about the Nestle Cocoa Plan, a global initiative to ensure a sustainable cocoa supply and improve the lives of small farmers. There are many threats facing the world cocoa supply right now including low-yield, diseased or pest-susceptible cocoa crops, poor environmental and social conditions for farming communities, low farming incomes and lack of access to modernized agricultural practices and regional turmoil. This $120 million project will include programs for distributing higher-yielding, disease resistant plantlets, providing education for farmers and their families, improving infrastructure in farming communities as well as both addressing and eliminating child labour in the cocoa supply chain. 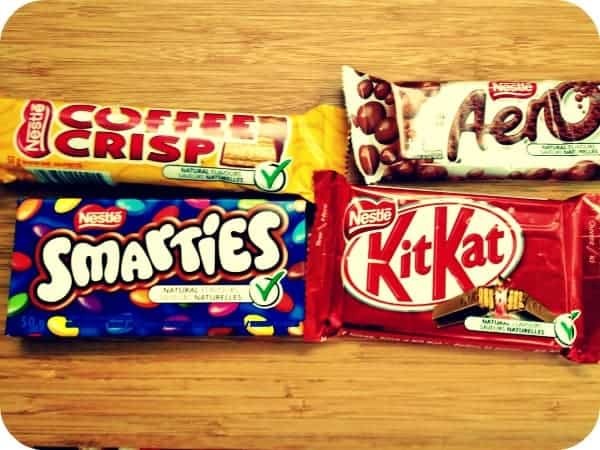 In fact, Canada is one of the very first countries to introduce Cocoa-Plan sourced chocolate including some of our favourites from Nestle: KIT KAT, Smarties, AERO and Coffee Crisp. The Nestle Cocoa Plan conducted a survey of 1000 Canadians through Vision Critical to find out more about Canadians and chocolate. I think you will find their results interesting! 39% say that chocolate goes with every meal—including breakfast! I guess it is safe to say that many Canadians are chocoholics! As for how it’s actually grown, Canadians really didn’t know the answer to this question either. 62% of Canadians say they would ask stores to stock products that support a sustainable cocoa supply and 80 per cent say they would purchase chocolate from a company that supports a sustainable cocoa supply. 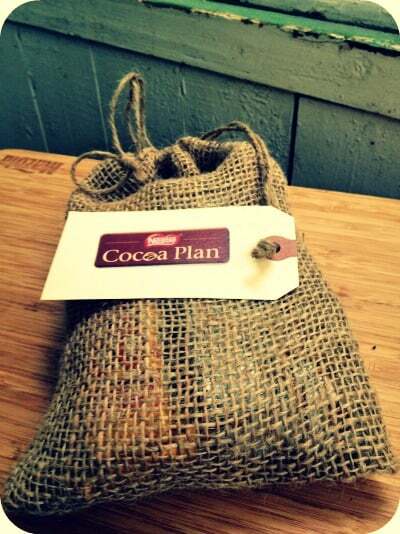 Visit Nestle Cocoa Plan to learn more about how this program works. I was not financially compensated for this post, but received a sample of product. Opinions expressed are my own. Sounds like a good Plan. We need sustainability in our products. I wouldn’t like to give up chocolate. I would be lost without chocolate. I am definitely going to look into this some more. Thank you so much for the heads up. After reading this, I don’t know a lot about chocolate either. I didn’t know it was grown in West Africa or that it grows on trees. All I know is that I would be lost without being able to go to the store and buy it. WoW! Very interesting facts, indeed! I really had no clue about the majority of it! Sounds interesting! My daughter loves cocoa…not just chocolate but cocoa in general. She puts it in her oatmeal, yogurt, whatever. I can’t imagine what would happen if she didn’t have it. Seems lije I read something about this a while back. You had a lot of interesting facts that I did not know! i think this sounds like a great plan. wow. thanks for all the info! if i’m ever on an episode of useless knowledge Jeopardy, i’ll be sure to win. 🙂 all joking aside, i knew a couple of these (most cacao coming from West Africa, and most by small farms, not factory farms) only because of the helpful tips on the Endangered Species Chocolate website and bars. I thought that these facts about chocolate were very interesting! I did not know that cocoa was being affected so terribly by weather conditions, and that the plants are not healthy. That is so good that Nestle is giving money to small farmers to help them with cultivating this healthy and delicious product! Just like Canadians, we Americans also love our chocolate! Thank you for sharing this information. We really need to work together to support these and all other small farmers and avoid the factory farming that is taking over. I”m a vanilla girl, not much into chocolate, but when I do I buy from organic, fair trade sources. Until now I had neard nothing good about nestle so I am glad to hear of this program to make things better for the industry !